Enhance your listing position with Pay Per Click Advertising! Set your own price, starting at $ 0.01! Determine bid amount for Search Terms and Directory Categories. Bid Manager will let you easily update your bids and view statistics. 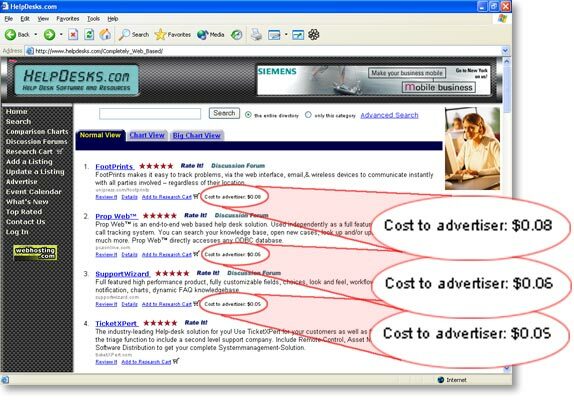 Pay per click advertising also affects your position in the chart comparison views! $50 sign up bonus will be added to your pay per click account.